Section defines how to show layered navigation in general. 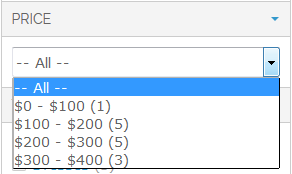 First four parameters sets up default templates for all filter types. 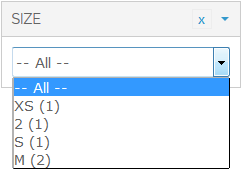 Text (One Item Can Be Selected At A Time) - only one subcategory can be chosen at a time like only New Arrivals. Drop Down - range can be modified by dragging thumbs. Hide CMS Page Content When Filters Are Applied. 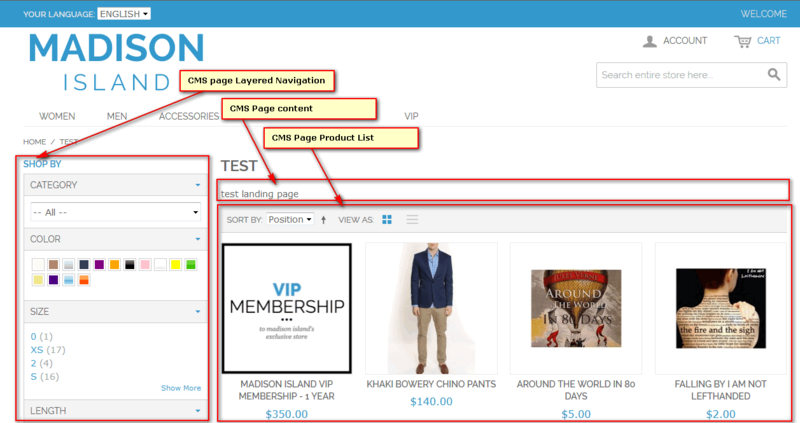 Layered Navigation can be added to any CMS page, including Home Page. In detail it is described in How to section: How to put Layered Navigation on Home Page (or Any CMS Page). This parameter is global for all CMS pages and cannot be customized on every CMS page level. Therefore it is more suitable for small stores. 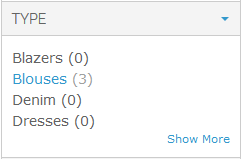 Hide CMS Page Product List When No Filters Are Applied. This parameter applies to situation described above. 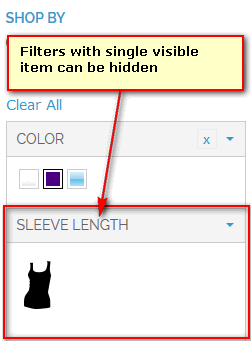 In some cases, when product list is huge, it is reasonable to hide products in CMS page, if no any filter applied..